For a quick analysis, you can use the Quick Research Tool. 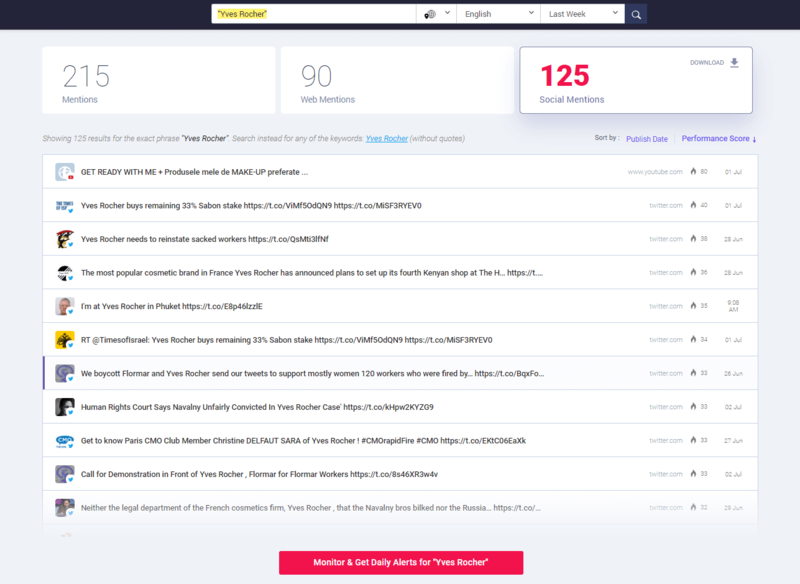 It will get you instant mentions for any brand or topic. Once you start typing, the tool offers you lots of recommendations to choose from. Then you have to select the area, language and period of time. 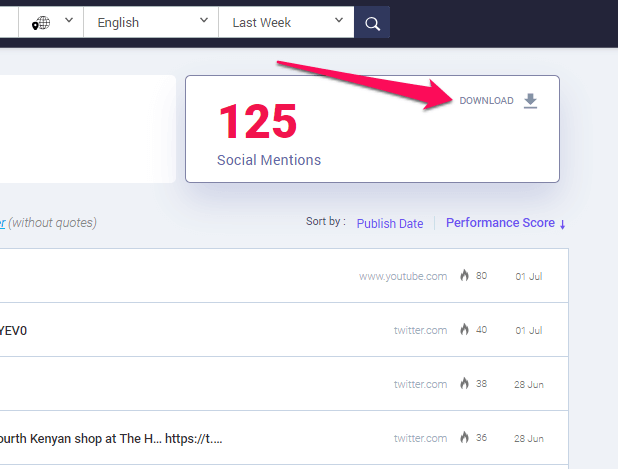 The mentions are extracted in just a few seconds and you can review them classified by the source: web or social. Sort it by performance score, publish date. Click on the “Monitor & Get Daily Alerts for Yves Rocher” to create a new project for that mention.